The proposal is based on Denmark’s plans to break up heavily-migrant populated ghettos to combat the rise of parallel societies announced last month. Denmark’s new policies come amid heightened public awareness of migrant ghettoisation, until recently officially denied by most European governments but exposed in Breitbart London Editor-in-Chief Raheem Kassam’s groundbreaking book No Go Zones: How Sharia Law is Coming to a Neighborhood Near You. Sweden Democrats leader Åkesson expressed support for a similar policy in Sweden to combat the numerous no-go zones in an interview with public broadcaster Sveriges Radio. 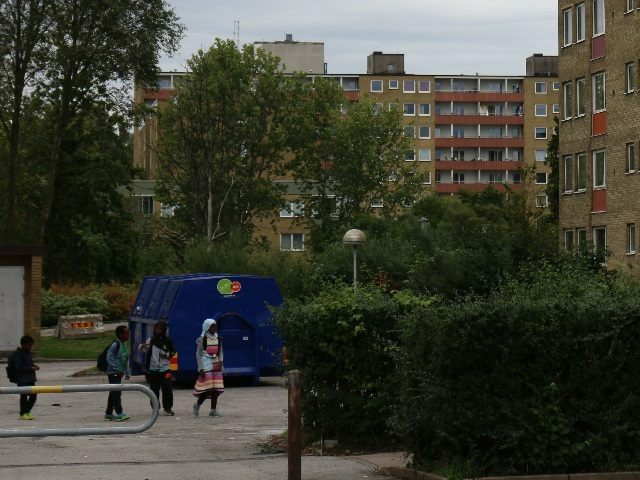 Åkesson said that the government should not be focused on trying to improve the situations in the high-migrant suburbs by renovating areas but should “start over from the beginning”. The plan would not see large numbers of people immediately removed from the area, according to Åkesson. The entire process would take place over a number of years and be a long-term solution to the current problem, which he said was much more severe in Sweden than in Denmark. The Danish government has also put forward a host of other measures in the migrant-populated neighbourhoods including doubling the punishments for crimes committed in the areas and the populist Danish People’s Party (DF) has suggested a curfew for youths under the age of 18 to prevent delinquency. A recent poll has shown Åkesson’s proposals and rhetoric to be resonating with young people as the Sweden Democrats poll first among Swedes aged 18 to 34.